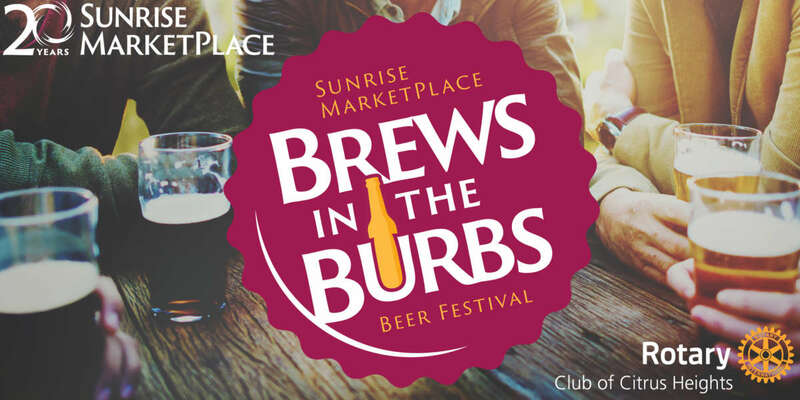 On Saturday, June 8, 2019, Sunrise MarketPlace will transform the Sunrise Mall parking lot into a backyard hangout to showcase the best Craft Breweries, Home Brewers, Cideries, Meaderies, and Distilleries in the Northern California area. This inaugural event will feature craft beer tastings, live music, food trucks, backyard games and YOU! Your involvement will help us support the Rotary Club of Citrus Heights, a 501 (c) (3), whose mission is to help children from elementary through high school with education and literacy projects. Rotary International, the parent organization, is dedicated to humanitarian projects locally and around the world. Proceeds from Brews in the Burbs will benefit children and families of Citrus Heights and surrounding areas. Sunrise MarketPlace would like to showcase Dining in the District inside the VIP Lounge. This exciting opportunity is only being offered to restaurants located inside the District.